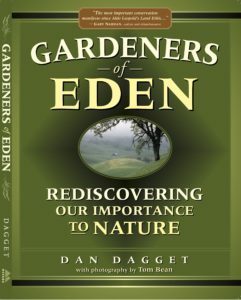 Gard eners of Eden, Rediscovering Our Importance To Nature (my second book) has been reprinted by the University of Nevada Press. Copies are available at Gardeners of Eden nevada press. 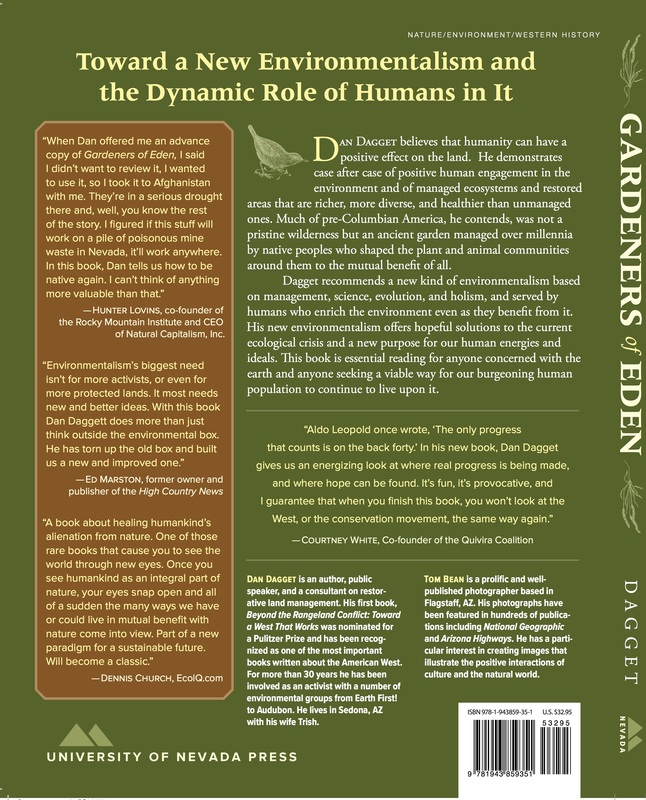 Gardeners serves as a handy way to delve deeper into the insights and principles revealed on this website and includes a number of examples of the application of those principles, including descriptions and photos of the paradigm-shifting results achieved by the people who awakened me to them. 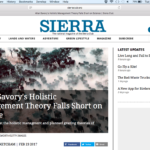 Comments by the University of Nevada Press and various reviewers on the back cover add an excellent assessment of the importance of Rediscovering Our Importance To Nature. You can read those comments below.